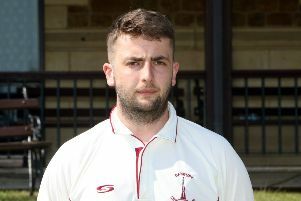 Challow & Childrey are still looking for their first win in the Cherwell Cricket League after they were held to a draw by Banbury II in division one. Challow were dismissed for 242 runs in which Harry Kent 73 top scored while Steve Hart took 3-34. Hugh Atkinson took 4-34 and Conor Jones 3-47 as the visitors chipped away but the home side held on at 159-9 with Justin Lambden 43 and Tom Bartlett 38 top scoring. A fine haul of 5-15 for Arfan Ahmed helped Oxford & Bletchingdon Nondescripts to a 34 run win at Banbury III in division three. Nondesripts had been bowled out for just 131 runs as Chris Phillips took 4-28 for the home side. But Ahmed and Ross Brown 3-37 then combined to bowl Banbury out for just 97. Brackley set hosts Long Marston II 242-6 in their 53 overs but were also held to a draw in division four. Adam Wirth top scored with 67 in Brackley’s innings while Marston closed on 144-9 in their reply. Cropredy II stayed top of division five after a four-wicket win at Kingston Bagpuize. James Boon 82 and Jordan Smith 49 helped Kingston to 233-4 in their 53 overs before Charlie Wise hit 67 and George Buckingham 64no to steer Cropredy home at 237-6 with four balls remaining.